Last week I was guiding on the Golan, the weather was glorious and we hiked to the Banias waterfall in the Mount Hermon (Banias) nature reserve. If you haven’t been there for a while, the parks authority has installed a wooden walkway where you walk just above the Banias stream. FYI, the same admission fee also gives you entrance to the Banias archaeological park. The technical details – the photo was taken with a Nikon D70 digital SLR and 18-200mm lens in September (ISO 200, 18mm, F7.1 at 1/30 sec). 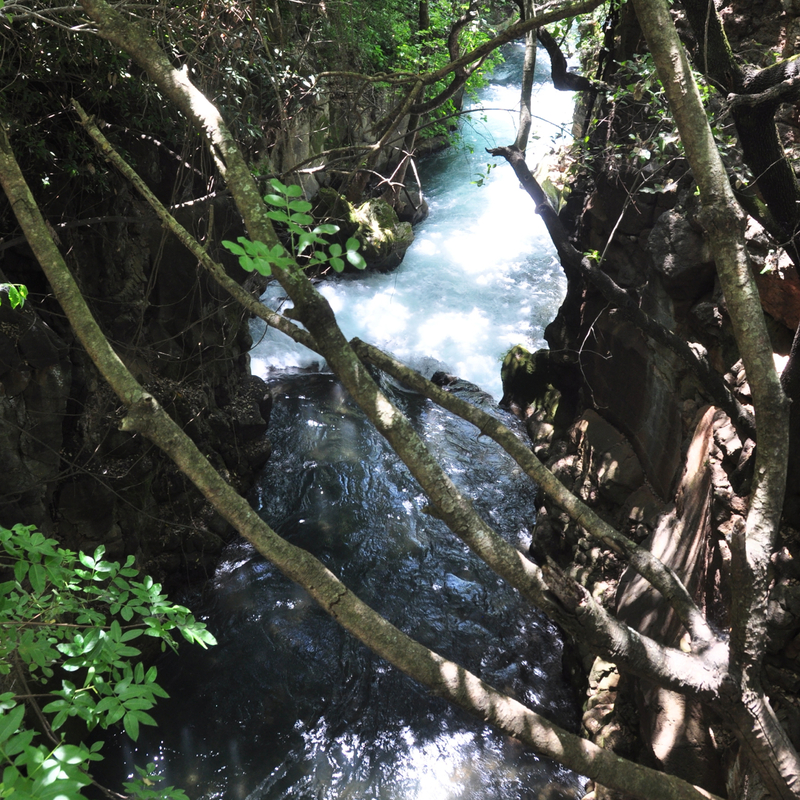 The Banias Spring emerges at the foot of Mount Hermon and flows powerfully through a canyon for 3.5 km, eventually cascading over a cliff, not the highest but probably the most impressive waterfall in Israel. Nine kilometers from its source, the stream meets the Dan and together they form the Jordan River that flows into the Sea of Galilee. From Banias we drove to the village of Nimrod, the highest settlement in Israel at 1110 meters to taste some artisan cheeses at the Witch’s Cauldron and Milkman restaurant. On display were some oil paintings by the artist Diego Goldfarb (whose gallery is next door) – I liked one of the Banias stream (photo taken with my iPhone). If there are any artists out there who would be interested in doing paintings from my photos please contact me. 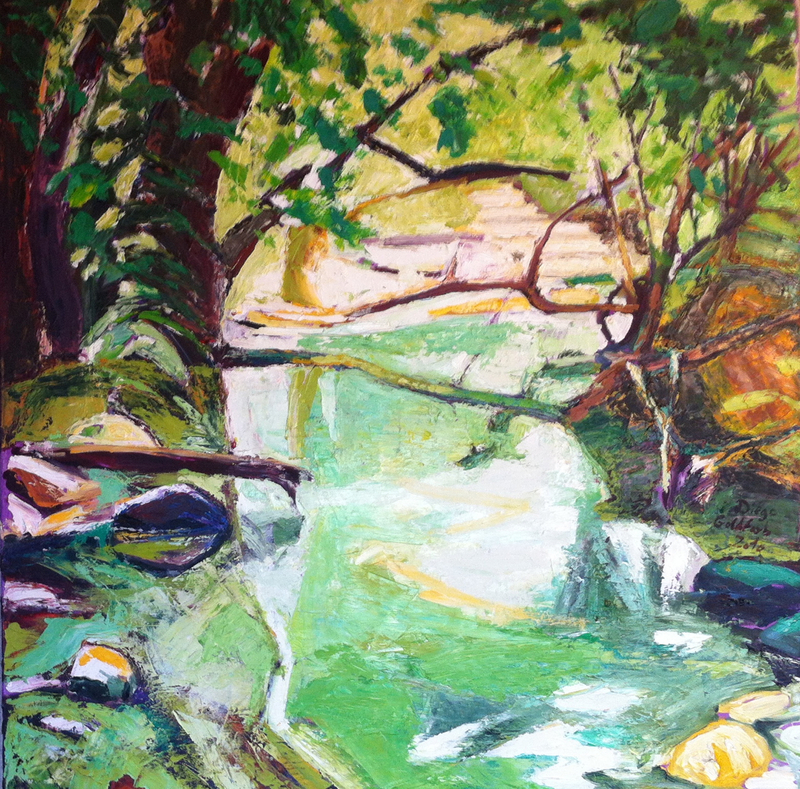 This entry was posted in Art, Photography and tagged Banias, iphone, Jordan river, Mount Hermon, nature, Nimrod on May 5, 2013 by Shmuel Browns.